At the northern side of the harbour of le Conquet the peninsula Pointe de Kermorvan raises from the sea. That's why the German strongpoint is called Panzerwerk Kermorvan. Beside the German bunkers, today without any steel parts left, you can also visit two ancient Vauban fortresses. There is much more to find than we show. One French fort was called Werk Köln and was used for encampment. Remains of logging barracks can be found nearby the 638. 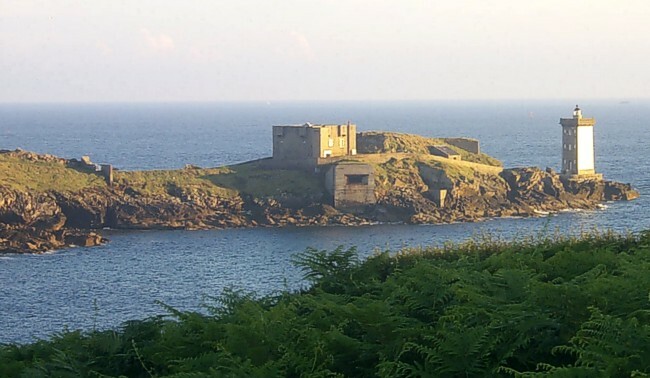 The French Fort de Kermorvan is glowing in the evening sun.